English can be one of the most beautiful, simplistic, but at the same time one of the most tricky and complex languages to learn. The vastness of the English language can faze even native English speakers. Since we live in a world where English is probably one of the most widely spoken languages required for communication, it is important for one to be fluent in this language. Learning to pronounce words correctly in English can be one of the hardest things about the English language, as some words are not pronounced as they are written, and two words can be written in the exact same manner but have completely different pronunciations and meanings. 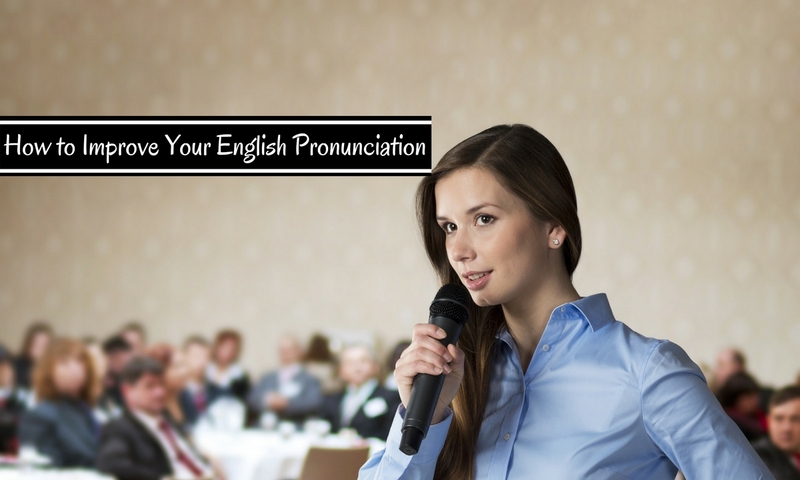 If you would like some handy tips on how to perfect your English pronunciation, read on to find out! One of the foremost rules for learning anything new is to keep your ears open at all times. Learn to really listen when someone else is speaking in English. Try to distinguish between the differences in pronunciation of different words. It is important in this case to not only listen to the other person, but also to listen to yourself. When you are practicing your English pronunciations on your own, listen to the words coming out of your mouth. With the advent of online teaching forums, it is easy for you to now simply log on to a learning class or put on some YouTube videos which will allow you to listen to native English speakers and learn the pronunciation of different words properly. You can also watch movies, listen to songs and overall, build up your knowledge and vocabulary of the English language. When you are trying to learn how to pronounce words correctly in the English language, you must also come to terms with the fact that each country, or even region, has a slightly different way of pronouncing the same words in English. This is a very important thing to keep in mind as the same word in British English could sound very different than what it sounds in American English. Ideally, when you are trying to learn the correct pronunciation of English words, you should try and stick to one dialect, for example, if you are learning the British English pronunciation, do not suddenly switch to the American English pronunciation for certain English words, as this will cause a lot of confusion for you and those trying to understand you. A tip which will help you to not only learn and grasp the English language and its pronunciations better, but also to have fun while learning, is to make a language buddy. It can be someone who is also trying to learn a language along with you and you two can mutually help each other. Listen to how your language-buddy is speaking, look at the way his mouth is moving and his tongue is rolling. Once you get a chance, practice these alone in front of a mirror. Learning proper pronunciation of English words does not only depend upon the language and speaking skills, but also on intonation, which is the rise and fall of voice, enunciation and stress which means putting more pressure or saying certain words, phrases or syllables louder than the others to add stress or bring to attention those certain parts of the word. Like every other language, the English language also has its quirks and certain ways of pronouncing words, and the best way to learn these differences is to listen carefully to a native English speaker or take help from online courses. One of the best ways to learn English pronunciations is to practice by yourself in front of a mirror when you are alone. It might be intimidating for some people to practice English pronunciations in front of other people. What you can do is observe the way a native English speakers mouth moves and how their tongue rolls. When you are alone, practice these things in front of a mirror. Use your hands for help! Place your fingers on your lips like you were about to ‘shh’ someone. With your fingers lightly on your lips, practice saying the English words and listen how they are sounding and looking. This will help you immensely to learn the right way to move your mouth and pronounce the English words correctly. The concept of ‘syllables’ comes into play here. Each word is made up of certain sounds or certain parts. These are known as syllables. For example, the world ‘syllable’ itself has three syllables, or three parts; syl, la, ble. A quick trick to figure out how many syllables a word has is to lightly place your hand under your chin. Now pronounce any word you wish to. Notice the number of times your chin touches your hand. This is how many syllables that particular word contains. To really catch and be able to break down the syllables in each word, you will have to break them down and pronounce them very slowly and deliberately. Once you get a hang of syllables and the breakdown of words, you will find it easier to understand English pronunciations. You can even check online web pages which demonstrate to you in an easy fashion, how to break down words into syllables and teaches you how to pronounce these words. Recording yourself can help bring out minute mistakes you might not have noticed in the first go. Use a camera, not just an audio recorder, and record yourself speaking in English. It is important to have visuals as well and not just an audio clip to listen to yourself, because you must also watch the way you talk. Now, practice saying some words and phrases in English. You can even read out to yourself from some book, paper or sing the lyrics of a song. Play back the recording to yourself and try to minutely listen and watch yourself as you speak. Watch and re watch your video as many times as required and compare the words you are pronouncing with someone else’s clips. Now try and make both physical as well as verbal comparisons. Check if your mouth and your tongue are moving in the same way as the other persons. Listen to their pronunciations and compare them with your own. The internet can be your best friend when it comes to learning the English language and its pronunciations. There are several websites you can visit and sign up to, or even download apps on your phone or your tablet. These apps teach you English and its proper pronunciations in the most interactive way possible. You can learn the difference in pronunciations of similar sounding and similar looking words with interactive lessons. Other websites on the net can help you perfect your English language and pronunciations using virtual teachers. While many programs are to be paid for, you will also come across several free programs. Take help of these web sites and courses and practice on your own. This might seem like one of the silliest ways to learn English pronunciations, but this method actually has a scientific basis behind it. When you are singing along to an English song you already know, you can focus on getting the rhythm and intonations right, instead of focusing on the words. Since the words have already been taken care of by the song, you do not have to worry about concentrating on constructing the sentences yourself. Instead, you can simply relax and get the words out. Listen to the singer’s words and pronunciations and focus on simply having a good time, relaxing, and trying to make the words sound as much as the original version of the song. Just like learning any other thing for the first time, you must learn to go slow on yourself. Do not try and push yourself too hard. If you are not getting it right on the first try, maybe you can try again later. Go slow with yourself, take your time, give yourself ample breathing space and time and patience to learn this. Pushing yourself too hard will only cause negative feelings indirectly towards the practice and study of the English language, and might cause you to give up more easily. It is easier to learn how to pronounce the words slowly, at a pace comfortable to you, learning the basic rules and how to break down the words into syllables. Once you have mastered the pronunciation of these basic words, you can form sentences and learn to speed up on your speech. This is a very natural process. Do not try to copy native English speakers or your English teachers and try to speak as fast as them, because you will lack the fluency that comes with practice and experience. Reading English newspapers, articles and even books can help you greatly in learning the English language better. You can really capture the soul of the English language by reading good poetry. Poetry can really capture the various stresses, intonations and ups and downs or rise and fall of the words. Try and get yourself to read poetry and you will find it easier to identify the different stresses, rhythms and intonations of the English language. Listening to someone speaking fluently in the English language can greatly help you. Due to the advancement of technology, it has become a piece of cake for anyone to simply put on some videos or a podcast, put on their ear phones and zone out completely. Listen to the podcast or videos silently, on your own. Go back to certain parts where you might need more help, and listen to them again. Try and imitate the sounds you are hearing. You can also open up the page of an online dictionary and click on the words which you want to hear spoken out loud. It is basic instinct for most people to think in their native language, and then try to translate it to another language when speaking. If you do this when you are trying to speak in English, you will find yourself faltering and making silly mistakes. Instead, try to think and construct the sentences in English itself. Use an English dictionary if you are facing too much trouble and try and find out the correct pronunciations of these words. While it is better to practice with your language buddy, never underestimate the power of teaching yourself! When you are alone, talk to yourself in English and listen closely to the words. Since you already have an idea of what the English pronunciations are supposed to sound like, it will be easily to correct yourself and continue practicing on your own till you can perfect your English pronunciation. Practicing tongue twisters such as “The thirty-three thieves thought that they thrilled the throne throughout Thursday” can be extremely helpful when learning to perfect your English pronunciation. These types of word games will help you find the correct placement for your mouth and tongue and slowly help you perfect your English pronunciation. Learning the English language can be an extremely intimidating. The most important thing to remember in this case is to take things slowly, do not try to copy someone else’s pace of learning. Take as much help as you can get, and keep your hopes and spirits up. Soon, you too will become a master in English pronunciations!